That was the winning bid for six bottles of Harlan Estate‘s 1997 Napa Valley Cabernet at a wine auction last fall in Chicago. 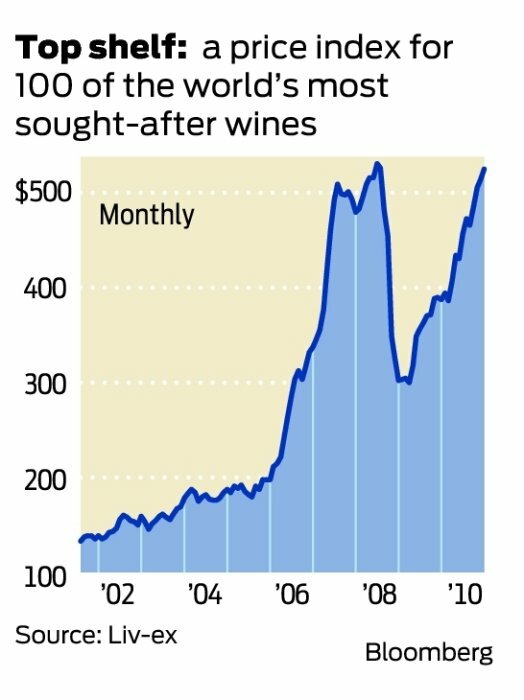 California “cult” wines like Harlan and Screaming Eagle are drawing record prices, helping drive up the Liv-ex fine-wine index 36 percent in 2010. This is attracting more investors to ultra-premium wineries. William Price, a co-founder of buyout firm TPG Capital, has taken a majority stake in Sonoma County cult winery Kosta Browne, which shuns retail stores and developed a following through word of mouth.